Online shopping mogul Amazon announced their first ever Fire phone today, changing the way online shoppers will take to their mobile devices. With all that search engining and quick typing, you’re bound to fumble your Fire phone more than a few times. 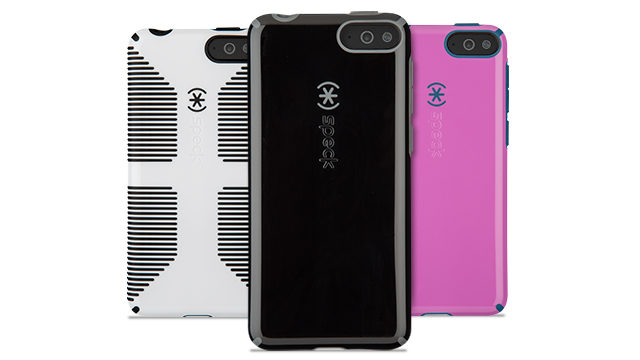 That’s why Speck’s got a great lineup of mighty slim protective cases – and colors! – to arm your newest favorite gadget with military-grade defense. Our CandyShell for Amazon Fire is our classic award-winning, best-selling case and available across a range of other devices. CandyShell Grip for Amazon Fire gives you the perfect hold while you shop away with raised rubber ridges that grip tables and dashboards so you’re phone won’t slide. Missed the buzz? Find out what’s so special about the Amazon Fire phone in our announcement recap.